Inbound marketing is about making valuable experiences that have a positive impact on individuals and your business. It is primarily the methodology of attracting customers with relevant and helpful content. Inbound strategic marketing is successful because it no longer interrupts customers just to see your content– but rather gives them a platform for information to reveal it themselves. 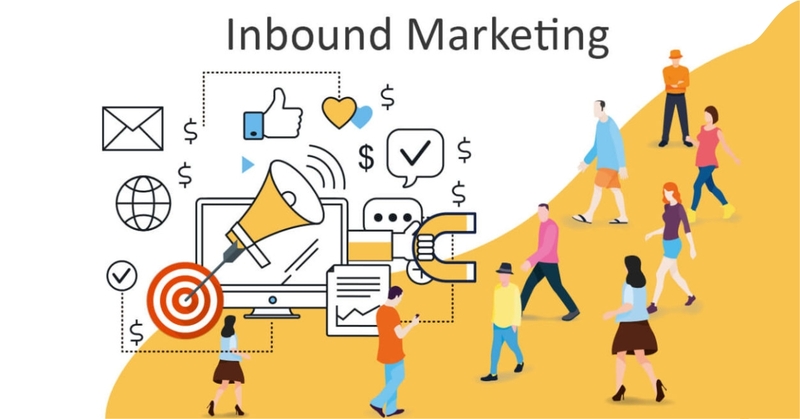 In terms of digital marketing, inbound marketing uses a combination of various digital marketing channels, most commonly – content marketing, social media and so on in a creative manner to attract user attention. The main aim of inbound marketing is to drive quality traffic that expands your deals and generates quality leads. Unlike digital marketing, inbound marketing works with the clear-cut method of marketing that has precise steps. Inbound marketing utilizes owned and earned media to engage potential customers in creative ways. Owned media are those channels that business has authority like the website, blog or youtube channel. Whereas, earned media is the involvement you achieve after your diligent efforts. It includes broadcasting on news websites, use of a campaign hashtag, discussions in online forums, and online reviews. A typical source for inbound marketing is blogs, social media, opt-in emails, influencer marketing. Outbound marketing is another name for “traditional advertising” or is simply used to be known as “marketing”. Outbound marketing is more associated with paid media. It could be billboards, telemarketer scripts, magazines, TV ads, and so on. Paid media also incorporates PPC, Display advertisements, paid social media advertising like Facebook ads, Twitter ads, Instagram ads, and so forth. 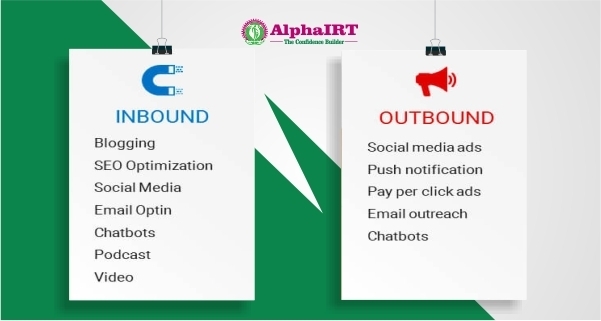 In short, Outbound marketing is usually harder to track and less profitable than inbound marketing. Here are the indisputable benefits of inbound marketing which will make you started exploiting it earlier. 1. Inbound Marketing Improves Your Site’s Conversion Rate—By Nearly Double! By using inbound marketing, you’ll be able to double the average website conversion rate from 6 to 12%. Inbound marketing truly saves you cash because it costs 60% less than traditional promoting ways. Additionally, you no longer are wasting cash on promoting tactics that don’t seem to be as valuable. What this implies – improved marketing ROI. In 2013, 79% of firms that used a blog saw a positive marketing ROI from inbound. By implementing a blog on your website, you’ll be able to increase the number of indexed pages by 434% and increase indexed links by 97%. In 2013, 34% of all leads generated were derived from inbound marketing techniques. 61% of worldwide internet users research product online. this implies that by making useful, relevant online content, you are permitting those users to seek out you. This might sound obvious that you just need a website that ranks on search engine result pages once people look for you. Firms who use inbound marketing strategy have seen a 55% increase in leads simply by increasing their landing pages from 10 to 15. 78% of small businesses who use inbound promoting attract new customers with the utilization of social media marketing. Having multiple social media accounts is a crucial part of your inbound marketing strategy. 90% of consumers enjoy the custom content that’s delivered to them by inbound marketing methods and campaigns. According to Hubspot, 84% of millennials don’t trust traditional marketing. While conventional marketing is still in place, it would be an excellent option to grab the facilities provided by the internet to enhance your marketing ROI. Facebook. Thanks again for a great article! Thanks for sharing this Blog Awesome, nice information I gained more knowledge about the Digital Marketing and search engine optimization, I am also searching for the Digital Marketing Company in Chennai to improve my growth in online Business.